November 9, 2018 – Goss’s Wilt, gray leaf spot and northern corn leaf blight have challenged many corn farmers this season. Bruce Battles, head of agronomy, Golden Harvest, explains how to best avoid bacterial and fungal pathogens. Source: Sonja Begemann – Seeds and Production Editor – Farm Journal Online in Mexico, MO. 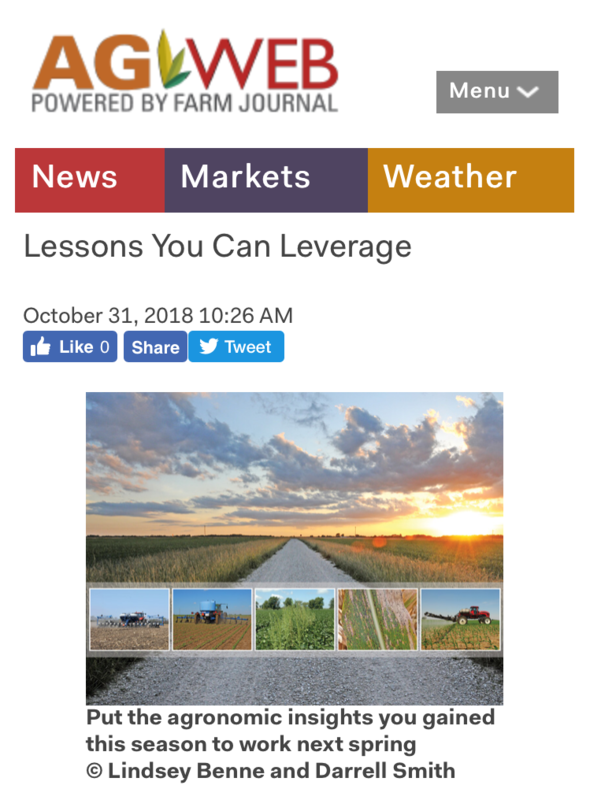 https://www.agweb.com/article/lessons-you-can-leverage/ AgWeb provides unique editorial content to complement the coverage in its parent print publication, Farm Journal, which focuses on practical information about crops and livestock for farmers. AgWeb emphasizes agricultural production, technology, policy and innovations in circulation technology. The website is published by Farm Journal Media. Learn more at https://www.agweb.com/.